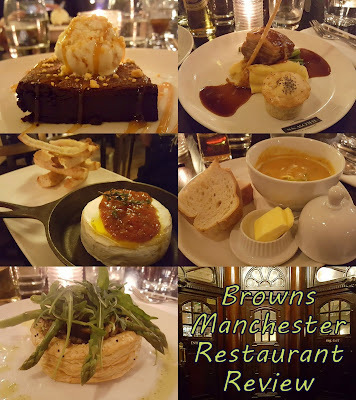 My partner and I have been very lucky with our date nights recently, and this week we took the tram into Manchester to review Browns on York Street. Open all day for food (9am-late), we visited on Monday to try out their new Spring menu. This was date night, so we chose a little table for two, but there really is a nice variety of seating at Browns, with several larger tables for big groups. We visited at a naturally quiet time, but this is a huge building and that space has been well-used. 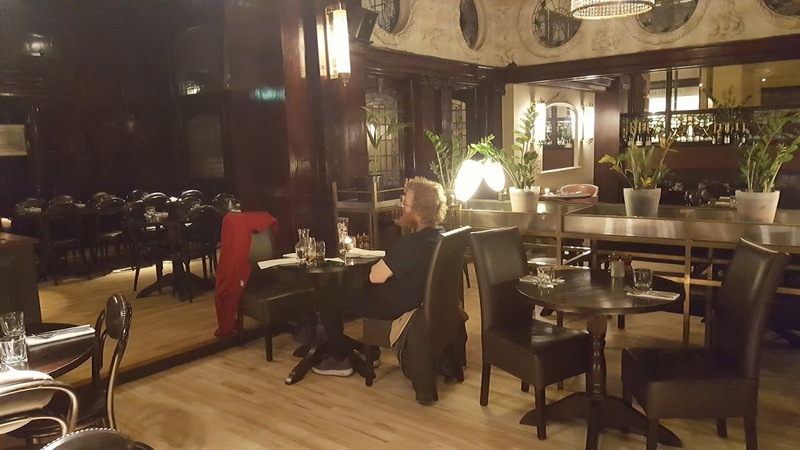 Tables aren't close to each other and even with smaller children I wouldn't feel I was encroaching on someone else's quiet meal. There is an excellent drinks selection, with several nice choices for non-drinkers, and plenty for anyone who does enjoy alcohol. 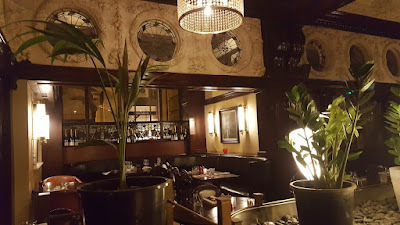 Craft beers, a lengthy wine list and a big choice of cocktails including exclusive Browns Signatures, alongside the more commonplace draft and bottled drinks. 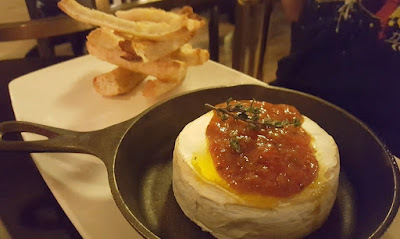 We skipped past the appetisers, although we were tempted, and my partner's choice of starter was Whole Baked Somerset Camembert. Served with warm toasted bread, tomato & rhubarb chutney, it was beautifully presented - a feature which Browns clearly take very seriously. A really good dish, with plenty of delicious fresh-tasting toasted bread. My partner really enjoyed it and didn't leave a crumb. A nice chutney which worked well. From noon until 7pm Browns have a fixed price Lunch and Early Menu, and as we arrived before 7pm, I asked if it was possible to have the Honey Roasted Butternut Squash Soup as a starter. This was served with crème fraiche and sage, lemon & pumpkin seed pesto, with crusty bread and butter. It was lovely. A little saltier tasting than you'd usually find and the butternut taste itself wasn't strong, but it was tasty with good rounded flavour and a lovely texture. 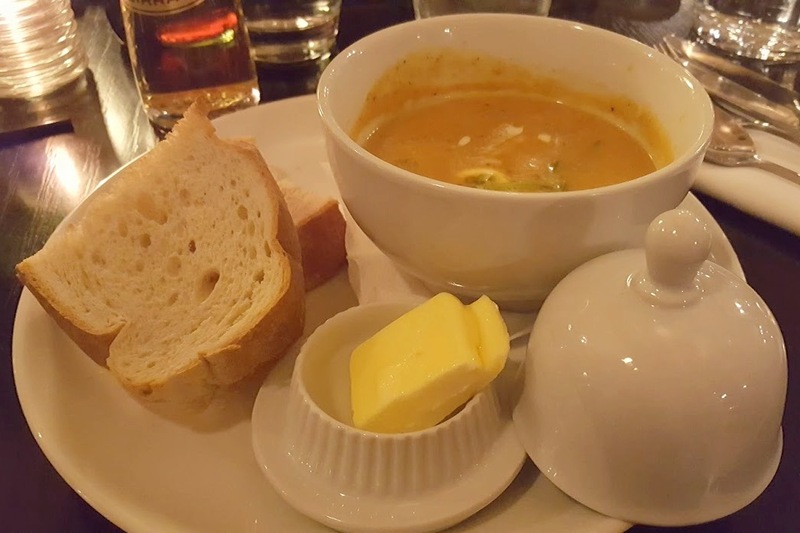 The bread and butter was perfect to dip and I was very pleased with the whole dish. Extra recognition for the soup being served really hot. It was still warm as I finished, which is a rare treat indeed. 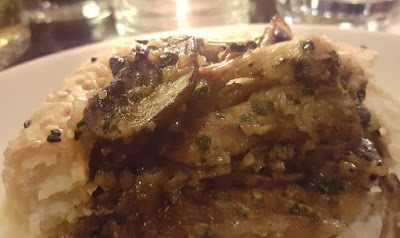 There were only two dishes off the menu, and with Light Mains, Mains and Grills to choose from, it left plenty of choice. 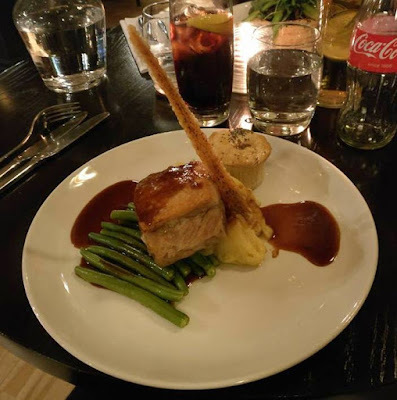 My partner decided on the Slow Cooked Salted Pork Belly, and the presentation was amazing. Served with a savoury apple pie, buttered green beans, mash, red wine jus and a fantastic crackling pole. Everything about it was good. The pork well cooked, with a good slab of fat which my partner loves. A nice texture to the mash and the little apple pie was a neat and quirky addition. It all went together really well and made a filling dish. I chose one of the new vegan options. There are 3 vegetarian options on the main menu, 2 of which are vegan. Courgette, Mint and Lemon Tagliatelle was very tempting, but instead I chose the Portobello Mushroom Tart, and I'm very glad I did. 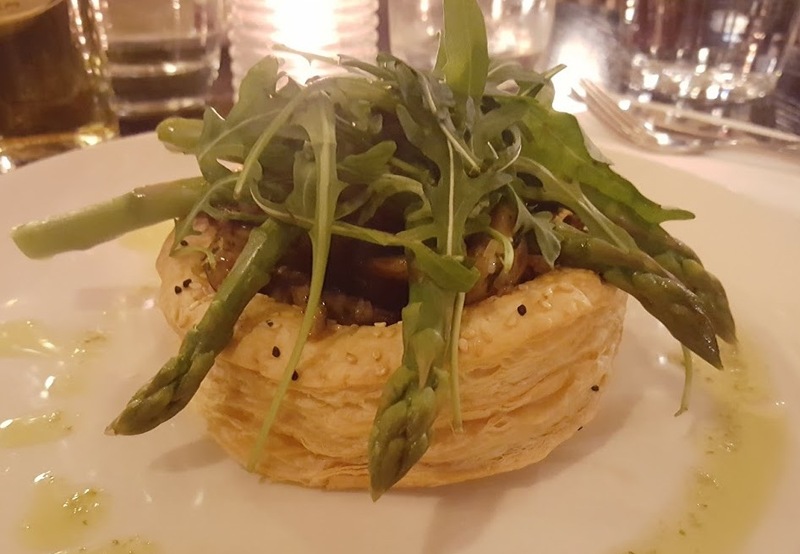 Puff pastry filled with Portobello & seasonal mushrooms, topped with asparagus salad. The asparagus and salad accompaniment was incredibly fresh. Again a filling main course that really was a superb example of a vegan meal. 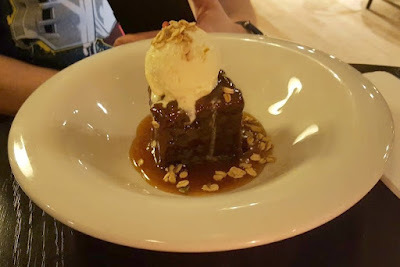 We had thankfully just about left room for dessert, and my partner chose his favourite dessert, Sticky Toffee Pudding. Served with Ginger Ice Cream and Granola. It was a precarious Scooby snack of a pudding that's for sure! The pudding had s a gorgeous taste, not too sweet although my partner may not agree. Lovely light sponge with a small amount of crispiness at the base, although the syrup was a little runny. The granola is a nice addition to give texture, and although the ginger ice cream flavour was quite mild, it went well. I had the Chocolate Brownie to finish, served with honeycomb ice cream and Devon cream toffee sauce. 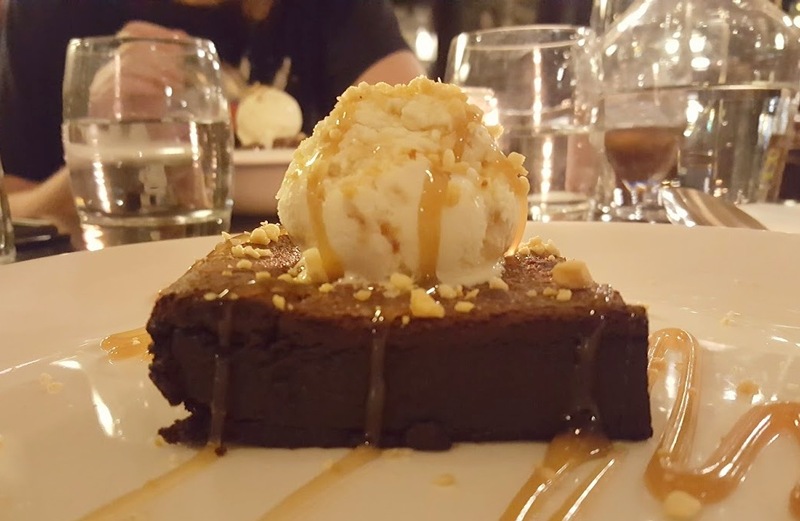 It was an amazingly fudgey, almost mousse-like brownie with a rich flavour. Again not bitter, yet not as sweet as the Sticky Toffee Pudding. It was lovely, and the ice cream is among my favourites, so I'm totally biased already. Beautifully presented again, you really can fill yourself with your eyes alone at Browns. The staff were attentive yet not invasive, and very friendly. Chelsea our waitress was lovely, and very helpful. All staff attend tasting sessions, so they know the dishes they are serving and you can trust their personal recommendations. She was very enthusiastic and it was really nice to feel we weren't putting her out by asking - quite the opposite! Overall our meal would have cost just over £60 with drinks, which is what I would expect to pay and very fair for such a beautifully presented, filling and tasty 3 course meal in Manchester city centre. Starters are priced from £3.50 for a Whole Baked Sourdough and butter, to £17.95 for a Fisherman's Platter to share. 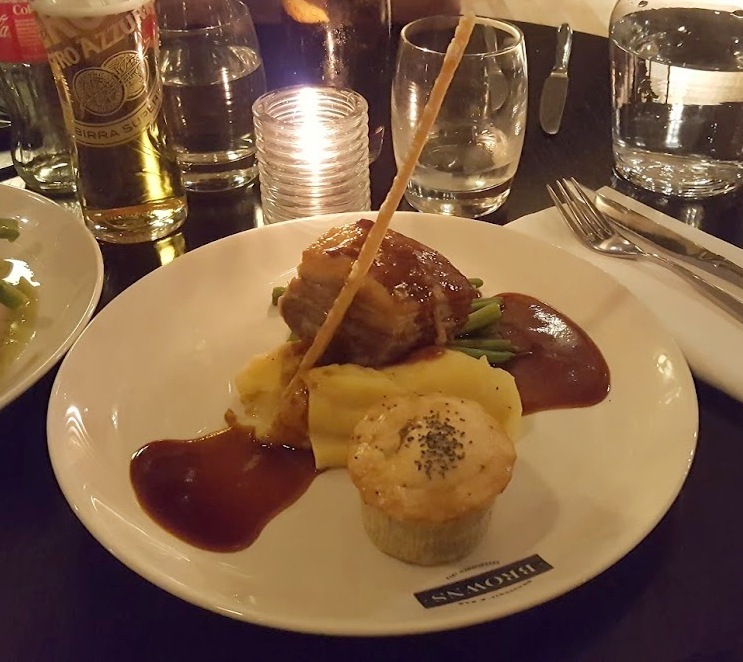 Light Mains are around £10-£13, Mains £11-£16, Desserts £5.95. 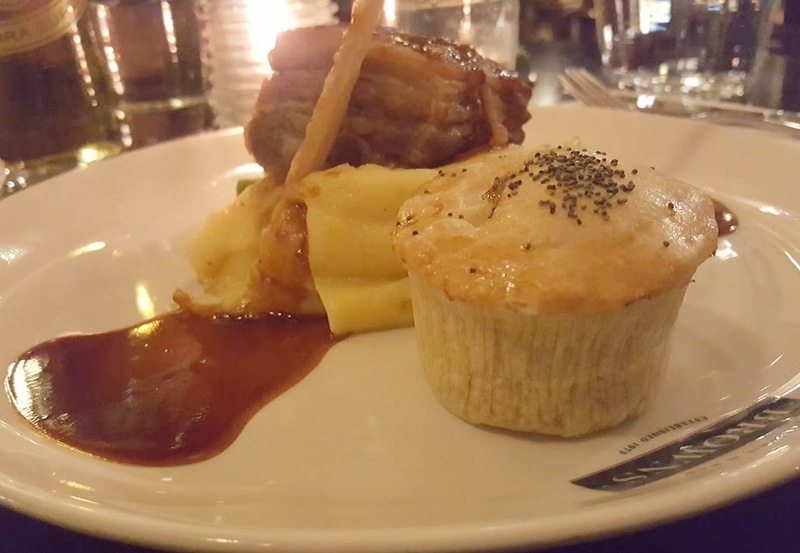 The fixed price Lunch And Early Evening Menu is £10.95 for 2 courses, or £14.95 for 3 courses. Browns is housed inside a gorgeous old building, and the trip to the ladies toilets is like an adventure in itself. 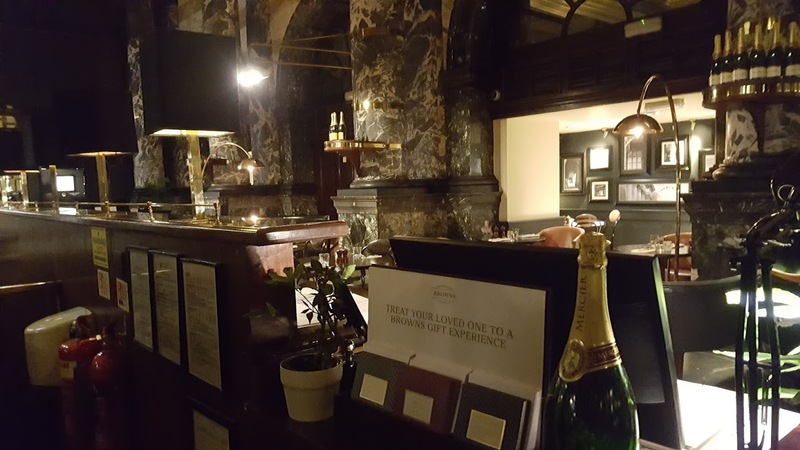 It's a great place to eat, and incredibly grand. Where we sat was great for an intimate meal for two, and a family were sat nearest to us, with a table of 3 gentlemen further away. It has areas of seating to suit anyone. 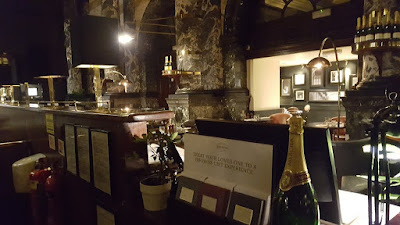 I think it would make an especially lovely venue for any group celebration, I can imagine it's the perfect setting for family birthdays and work leaving do's. 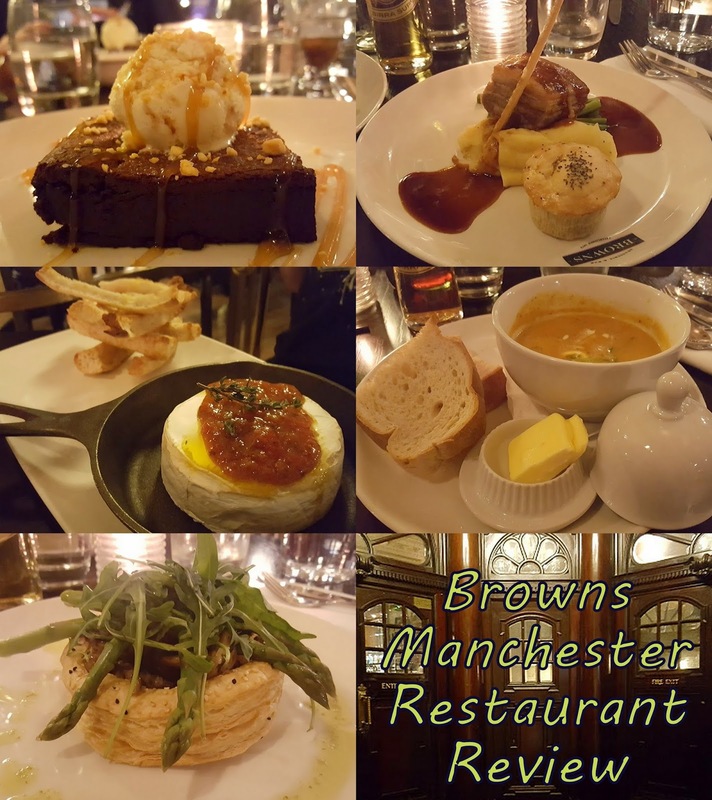 Browns are located across the UK, with 25 restaurants including Bristol, Mayfair and Glasgow. Find your nearest Browns, menus and more, and even book a table on the Browns Brasserie And Bar website. Our meal was free of charge for review.